Adhara Systems Inc. purchased business and rights of uniAMS product line from Samsung SDS America, a subsidiary company of Samsung SDS. Samsung SDS is the largest global IT solution provider in Korea with an annual revenues of U.S. $1 billion and an expanding network of 6,000 employees in branches around the world. 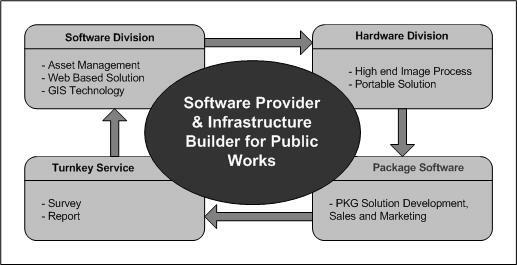 To meet our clients' business needs in the infrastructure asset management sector, we offer a wide range of services and products such as uniSurvey, uniAnalyze, uniPavement, uniSidewalk, uniBridge, uniSign, Data Collection Hardware, and specifically designed services for small to large clients. Pursuit of relentless excellence in the field of Infrastructure Asset management. Always generating new ideas to stay one step in front of customer demands.